In a musical tribute to Dr. Martin Luther King Jr. 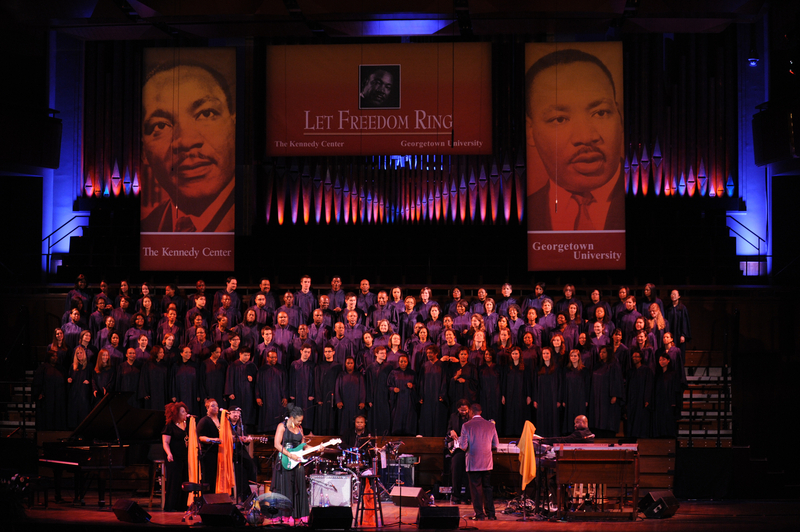 The John F. Kennedy Center for the Performing Arts and Georgetown University celebrate the legacy of Dr. Martin Luther King Jr. with a free, ticketed musical tribute titled Let Freedom Ring! The annual program, part of the free daily performance series on the Millennium Stage, features Grammy –nominated Vanessa Williams and the Let Freedom Ring Choir led by Music Director Rev. Nolan Williams Jr., on Monday, January 15, 2018 at 6 p.m. in the Kennedy Center Concert Hall.